Conv. to Braves Stadium, shopping, malls, doctors, churches, Marietta Square, good schools, parks, I75, 575 & 285. 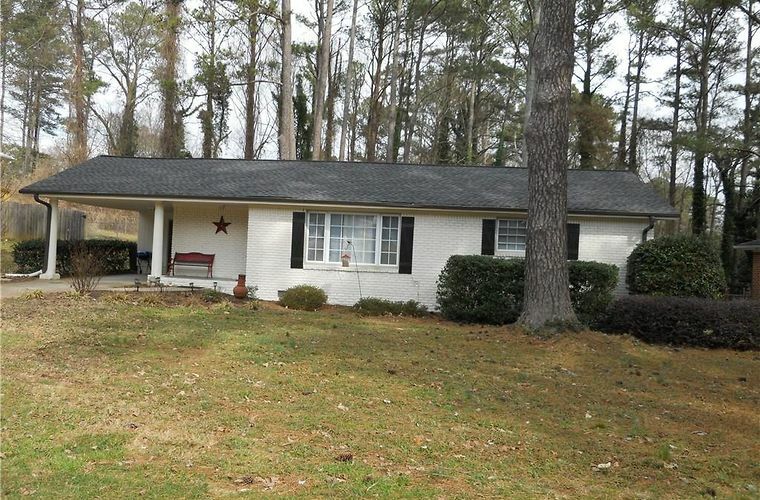 Beautiful 4-sided quality brick ranch, crawl space, pretty oak hardwood floors, tile floors in kitchen & updated baths, new windows, recently painted interior, excellent condition, and enjoy half acre spacious level private wooded back yard. Great floor plan. Flat ceilings. Shows like new! Roof one year old. Storage building. One-car carport with a storage room. Enjoy updated Sedalia Park-swimming and tennis, and the new Sedalia Park Media Center & library. Directions: I75 to 120 loop, go right toward Roswell, Turn right on Powers Ferry Rd., home will be on the left.